An easy walk with one stile and two sets of steps. 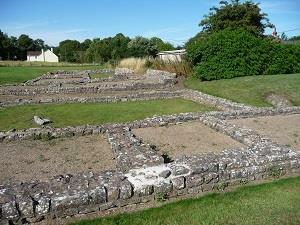 Caerwent is on the site of Venta Silurum founded by the Romans in 75AD. Large sections of the town walls and remains of Roman shops can be seen.